How Long Should You Stay Home With the Stomach Flu? Stomach viruses – commonly (though incorrectly) called "stomach flu" – make us miserable. No one wants to spend days dealing with vomiting and diarrhea. If you add in a fever, nausea, and weakness on top of that, it adds up to misery. Not many people consider leaving the house when the stomach flu hits. It often starts out with repeated bouts of vomiting and it's difficult to go anywhere when you can hardly stay out of the bathroom. But sometimes the symptoms lessen but still linger and you may wonder how long you really need to stay home to keep from spreading it to other people. This question can be even harder for parents to answer when their kids are sick. If you need to get back to work and aren't sure if your child is well enough to go to school -- what are the guidelines? What’s the Difference Between an Infection from a Virus or Bacteria? In general, you need to stay home or keep your kids home for 24 hours after the symptoms of the illness subside. This includes vomiting and diarrhea. And don't forget the fever. If your child is running a fever, she is contagious and is more likely to spread her germs to everyone she comes into contact with. Even without a fever, stomach viruses are highly contagious and spread easily from person to person when you have symptoms. It can be tempting to send your child to school if they went all night without vomiting or having diarrhea, but waiting a full 24 hours after the last episode occurred is important because the symptoms could return. If you make it a full day and night with no symptoms, it is unlikely that they will reappear after that. If you are dealing with a stomach virus and want to make the symptoms stop as quickly as possible, there are several steps you should take right away. Many people unknowingly prolong their illness and symptoms because they treat them incorrectly. You should not eat or drink immediately after vomiting. Allowing your stomach time to rest after it has expelled everything in it is important. 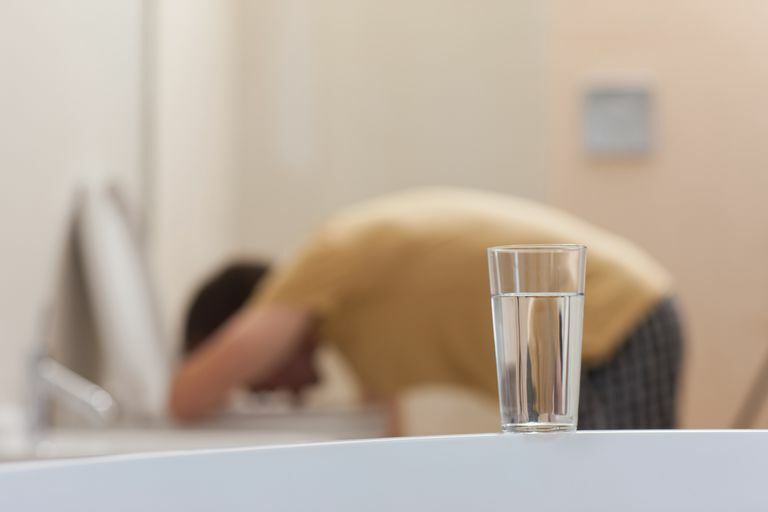 You need to wait at least 15 minutes after vomiting before you try to take even a small sip of water. Increasing your intake of water by a small amount will ensure that your body can handle it without repeated bouts of vomiting. Treating your symptoms properly when you have a stomach virus is essential to recovering quickly. Once you are symptom-free for a full 24 hours, you can return to work or school. The true length of time that you are contagious when you have a stomach virus depends on which virus is causing your symptoms. Two of the most common causes of "stomach flu" – norovirus and rotavirus – can be spread for up to 2 weeks after you have recovered. They also are contagious before symptoms appear, so it can be difficult to avoid spreading them to others since you won't even know you're sick. Frequent and proper handwashing is the best way to cut down on the spread of the virus. Remembering to wash your hands very frequently, especially after using the bathroom, changing diapers and before and after eating is the most effective way to decrease the chances that you catch or spread a stomach virus. If you have a young child, there is a rotavirus vaccine available to help prevent this very serious cause of severe diarrhea in kids. Steckelberg MD, James M. "How Long Am I Contagious If I Have the Stomach Flu?" Diseases and Conditions: Viral Gastroenteritis (Stomach Flu) 06 Mar 12. Mayo Foundation for Medical Education and Research. "Viral Gastroenteritis". MedlinePlus 07 Nov 14. US National Library of Medicine. Department of Health and Human Services. National Institutes of Health. "Vomiting". For Parents 2014. Kids Health from Nemours. The Nemours Foundation.